The clearer the larger implications of Russia’s latest adventure in the Caucasus become, the more the Russian leadership’s actions, in August 2008, look dysfunctional. 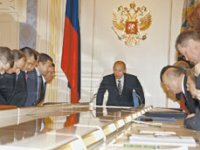 A growing number of repercussions of Russia’s overreaction to Georgia’s deeds in South Ossetia have, by now, added up to a significant loss in Moscow’s international standing. 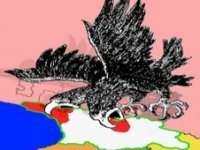 In Western comments, the Russian army’s invasion of Georgia is portrayed as a manifestation of revisionist expansionism. Kremlin-controlled mass media, in contrast, presents Russia’s intervention in the Southern Caucasus as a humanitarian action saving a national minority from “genocide” as well as the “lives and dignity” of Russian citizens abroad. 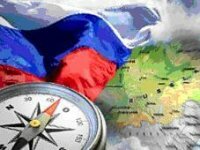 New concept of the Russian foreign policy: from Vancouver to Vladivostok? On 12 July the Russian president D.Medvedev signed the new concept of the Russian foreign policy. It presents Russia as one of the political centers which is ready to create and implement the international agenda. According to the above concept, the Western world is getting weaker in the military-political sphere, ignores international legal norms and tries to „restrict“ the developing Russia. 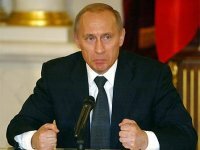 One of the main justifications for Russia´s recent invasion of Georgia was that it had to protect its citizens from what Moscow´s leaders chose to call "genocide" by the Georgian army in South Ossetia. The reasons behind Russia´s embrace of this particular argument seems to be that the protection of one´s own citizens has been a common rationalization for military action abroad by many countries, including major Western powers. The Russian Army is little by little changing over, innovations gradually come to the defense, daily life of militaries, even the ideology, transform. Having degraded from the glorious Red Army to the looser in 1994-1996 Chechnya war, it started to recover after V.Putin came to power. The past couple of years witnessed a welcome sensitization of the Russian public towards skinhead attacks and ultra-nationalist propaganda. Nevertheless, Putin’s administration and the Kremlin-controlled mass media maintained an ambiguous stance regarding xenophobic tendencies in politics and public discourse. Enforcement of environmental protection or power? 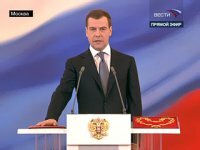 At the beginning of 2008 vice prime minister and future president of Russia D.Medvedev spoke in South Ural about the necessity to rearrange legislation related to ecology. This concern was very timely, since quite a lot of ecologic problems emerged together with the weakened state control and accelerated privatization of companies. Has the tone of the Russian foreign policy really changed? Variations in the tone could be heard in the recent speeches of the Russian politicians. During the visit of the U.S. Secretary of State C.Rice and the U.S. Secretary of Defense R.Gates, S.Lavrov said that America decided to let Moscow observe the AMD system which is to be deployed in the Eastern European countries, and suggested to Russia guarantees on the postponement of final deployment of the system elements before Iraq establishes missiles able to reach the European states. 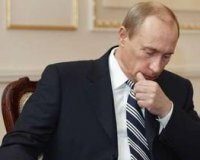 Will „Putin‘s Russia withdraw together with its leader, and what direction „Medvedev‘s Russia“ will take? Although uncertainly, but 8 years ago Russia was moving towards democracy. During V.Putin‘s reign the country has been reoriented to the establishment of the dictatorship strategy. 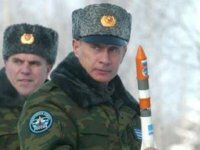 A new Russian military doctrine: the Bear is gettingon feet! 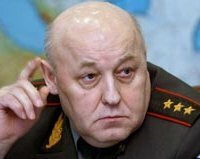 Chief of the Russian General Staff Y.Baluyevski has recently said that “because of sovereignty of the Russian Federation and its allies, and in order to protect the territorial integrity, military forces would be used in cases stipulated by the doctrine documents, including prevention actions and nuclear weapon”. Sounds aggressive, therefore, it is worth while discussing a new Russian military doctrine which has already been widely discussed in 2007. On 8 February 2008 V.Putin most probably has delivered his last speech as the Russian president. He started from the review of the past. The former KGB officer emphasized that from the czar Boris he has inherited state insolvency, oligarchy and the war in Chechnya. Will Russia‘s promises to deploy more missiles inKaliningrad provoke the cold war? The attempts of Russia to threaten the West and its close neighbors have increased currently. Unfriendly remarks of Moscow are often directed towards Ukraine, Georgia, Baltic States, Poland and Czech Republic. President of Russia V.Putin and his generals threaten the unfriendly states even with the nuclear attacks. The disagreement between V.Putin‘s Russia and the West was of the same level only during the Soviet Union times. Of course, Russia cannot be equaled to the Soviet Union regarding its military, economic and demographic power, since its current power is only in high oil and gas prices. In the polarized Europe Russia has both, friends and enemies; however the scale of power is moving towards Russia and not the EU. Why the EU, being more advantageous from the demographic, military and economic point of view, indulges the non-democratic Russia? Why the EU foreign policy is not effective in defending the European interests and values? According to the ratings of press freedom, elaborated by the international organizations „Reporters Without Borders“ and „Freedom House“, Russia is attributed to one the most undemocratic states. But most importantly the Russians are more concerned about the pseudo national ideas than about freedom of the press.